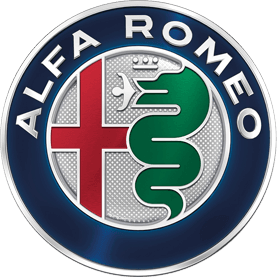 It is in our interest to make sure that every new Alfa Romeo we sell falls within your budget. That is why we have a series of unique finance offers to help spread out the cost of your new car. One method of payment that makes your new car more affordable is our Personal Contact Purchase pan. This method lets you choose how long the repayment period and choose how large the deposit is. We then also agree a maximum annual mileage. Once the agreement is over, you can part-exchange the car and use the equity as the deposit on a new car; return it and walk away; or pay any outstanding balance and keep it. This method is entirely flexible and tailored precisely to your requirements. Alternatively, you can choose our Hire Purchase method. Once you’ve chosen your vehicle, you agree a deposit and a fixed monthly payment. Once the agreement is over, the car is yours to keep. It is that simple. If neither of these options take your pick, our Personal Contract Hire package may be the ideal solution to help save you money. It simply lets you choose your annual mileage and your hire period and then you return the car. Because you never own the car, you never have to worry about the depreciating value. It also lets you indulge in a variety of car models rather than settling for a single type. Our offers are available on our new cars and on our Approved Used models. We can even offer you a special package if you are buying as part of a business. Click through our offer categories below to find out how much money you could save.